2018 started out great in January with a lot of strong releases, but was followed by a disappointing February. Things rebound again in March, a month packed with a plethora of quality albums, making it difficult to narrow it down to six. Once the list was pared to six, ranking them wasn’t much easier. It’s a good problem to have, and here’s what we came up with for March 2018’s best new metal albums. Australian funeral doom crew Mournful Congregation return after seven years with their fifth album The Incubus of Karma. It picks up right where its predecessor The Book of Kings left off with a crawling pace and chock full of mercurial atmosphere. The album takes on a somber tone on the title track, which isn’t a doom song at all. It is paced by drums, acoustic guitars and a flowing harmonic melody. This is in between two tracks that together top a half an hour of sullen, sad and downright depressing beauty. “Whispering Spiritscapes” is a powerful introduction to the band as they drag their casket eternally along this mortal coil. If you even had a thought about exploring funeral doom metal then this is a perfect time to start listening. 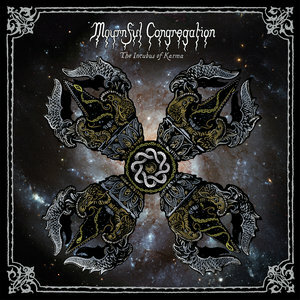 Mournful Congregation have crafted an album that typifies what the subgenre is all about and will be a tough one to forget as 2018 moves along. Metal gods Judas Priest have been putting out albums since 1974, and their legacy is untouchable. 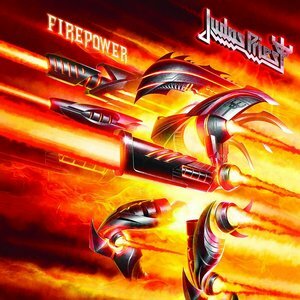 Firepower is Judas Priest’s 18th studio album. Rob Halford’s voice continues to defy age, with low register menace and upper register screams sounding as potent as ever. Add in the usual excellent lead breaks from old-timer Glenn Tipton and relative newcomer Richie Faulkner (a member since 2011), some heavy riffing, and the rock-solid rhythm section of Ian Hill on bass and Scott Travis behind the kit, and we’ve got a band firing on all cylinders throughout Firepower. It’s remarkable, really. Judas Priest have still managed to deliver an electric, vital album that surpasses anything they’ve released in nearly 30 years. Firepower is the band’s best record since Painkiller. 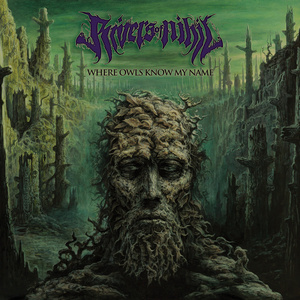 Don’t be fooled by Rivers of Nihil’s frequently used tech-death genre tag, because while the quintet does play a particularly precise brand of death metal, these Keystone State metal-heads are plumbing the proggy depths on their third full-length record in Where Owls Know My Name, and subsequently joining the ever-growing 2018 roster of bands employing horns (sax in this case) on their albums. 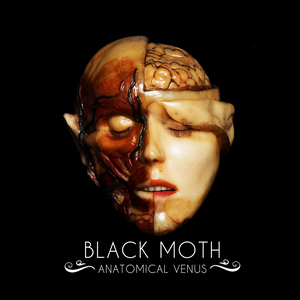 Anatomical Venus is Black Moth’s third album, and while the first two were solid slabs of psychedelic garage rock, they up the ante – and the heavy – on this release. The album blasts forth from the speakers with an aggressive abandon that’s wonderful to hear. Drums smashing, crunchy guitars blowing our hair back, and Harriet Hyde letting loose with a wonderful set of pipes.The ten songs never really let up, with riff after riff piling up on us and Hyde’s larger-than-life vocals drawing us into each cut. Anatomical Venus is a dense album packed with performances that makes us hit the repeat button. The riffs and leads are highlights, but they are overshadowed by Hyde’s performance, which is powerful, alluring and charismatic. All told, Black Moth have released their best album to date. For the first several years of their career, the mysterious Ukrainian black metal band Drudkh would release an album per year. They continue to be prolific, issuing three splits since their last studio album in 2015. Their latest full-length is Їм часто сниться капіж(They Often See Dreams About the Spring).